From the international bestselling author of Rebel Queen and Nefertiti comes a captivating novel about the infamous Mata Hari, exotic dancer, adored courtesan, and, possibly, relentless spy. Paris, 1917. The notorious dancer Mata Hari sits in a cold cell awaiting freedom…or death. Alone and despondent, Mata Hari is as confused as the rest of the world about the charges she’s been arrested on: treason leading to the deaths of thousands of French soldiers. As Mata Hari waits for her fate to be decided, she relays the story of her life to a reporter who is allowed to visit her in prison. Beginning with her carefree childhood, Mata Hari recounts her father’s cruel abandonment of her family as well her calamitous marriage to a military officer. Taken to the island of Java, Mata Hari refuses to be ruled by her abusive husband and instead learns to dance, paving the way to her stardom as Europe’s most infamous dancer. From Indian temples and Parisian theatres to German barracks in war-torn Europe, international bestselling author Michelle Moran who “expertly balances fact and fiction” (Associated Press) brings to vibrant life the famed world of Mata Hari: dancer, courtesan, and possibly, spy. Michelle Moran is the internationally bestselling author of seven historical novels, including Rebel Queen, which was inspired by her travels throughout India. Her books have have been translated into more than twenty languages. 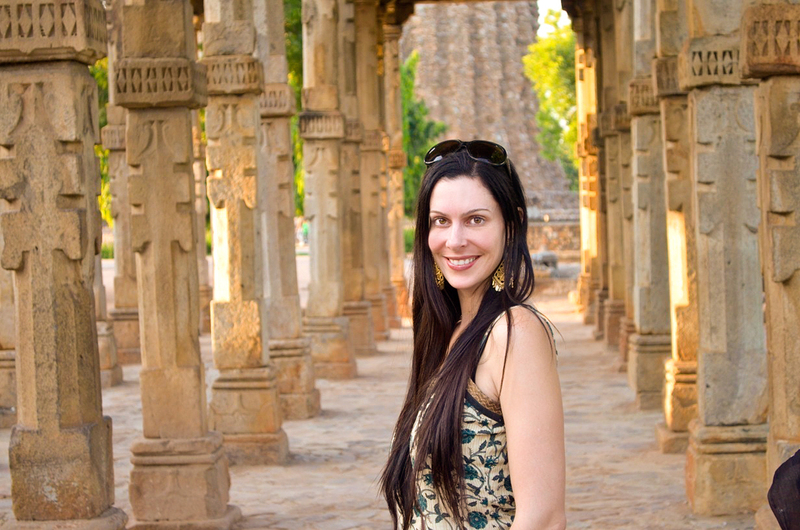 A frequent traveler, Michelle currently resides with her husband and two children in the US. Visit her online at MichelleMoran.com. 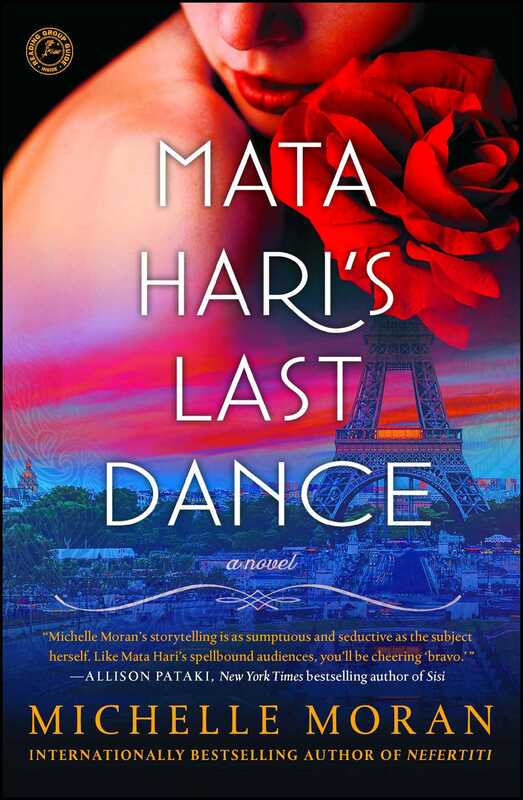 "[Mata Hari] is a mysterious character, but Moran manages to formulate a realistic heroine....Readers of historical fiction will note the author’s signature attention to detail; however, the flawed Hari makes this engrossing reading." "By interweaving the strands of Mata Hari’s multiple reinventions into an evocative tapestry depicting the woman who captured the collective imagination of several nations, the author ensures that questions of her guilt or innocence ultimately take a back seat to her mesmerizing tale. Moran breathes new life into another atrophied legend of a remarkable woman who left an indelible mark upon her time and place in history." "This often deeply moving novel focuses on its characters, allowing history to play out as a backdrop to the personal story of a young woman who would risk everything, including her own life, for her people." "Filled with fascinating historical details about a subject that is not often portrayed, the novel looks at both the rights of women and the conflict between the British Empire and India in a fairly unbiased way....Readers who have enjoyed Moran's previous works will not want to miss this." "Stunning in form, theme, and plot... Don’t hesitate to purchase this beautifully written gem, which is certain to shoot to the top of the charts, if not start a craze for 'everything Moran.'" "Moran expertly balances fact and fiction . . . . Intimate and entertaining." "Certain to be a breakout book for Moran, this superbly written and plotted work is a welcome addition to historical fiction collections. The shocking actions and behavior required of Tussaud to survive the revolution make the novel a true page-turner and a perfect reading group choice." "Dramatic, engrossing, and beautifully written, this is essential reading, and Moran is definitely an author to watch." "Moran skillfully weaves into her latest book plenty of political history and detail without ever weighing down the story, which is fast-paced, intriguing, and beautifully written....A subplot about a mysterious 'Red Eagle' who is trying to incite a slave rebellion is riveting....In Cleopatra's Daughter, she once again demonstrates her talent for taking long-forgotten historical figures and bringing them vividly to life." "Historical fiction enthusiasts will delight in this solid installment from a talented name in the genre." "A solidly researched history lesson ... The book is a satisfying blend of romance, intrigue and fascinating historical fact. Cleopatra’s daughter may not share her mother’s renown, but Selene’s own life story is also worth surviving through the centuries." "The tale brims over with rich details of Roman life, historical personages and political turmoil. Add the coming-of-age aspect and you have a novel that will appeal to readers on many levels." "It's all here: palace intrigue, politics, romance, warfare, and religion. As beautifully written and engrossing as her first novel, this should enjoy wide readership. Recommended for all popular fiction collections." "Moran's careful attention to detail and her artful storytelling skills bring these people – pharaohs, princesses, and queens; petitioners, servants, and soldiers – to vivid life, imbuing ancient history with suspense and urgency." "Almost every character in the book is based on a historical figure, and Moran fleshes out their personalities beautifully, highlighting the teenage pharaoh's arrogance and paranoia, underscoring his queen's ambition and insecurity....Inspired by the distinctive bust of Nefertiti at the Altes Museum, in Berlin, Moran has created an engrossing tribute to one of the most powerful and alluring women in history." "Mutnodjmet as narrator is a stroke of genius. . . . Beautifully written and completely engrossing, this first novel should enjoy wide readership." "Nefertiti is a fascinating window into the past, a heroic story with a very human heart. Compulsively readable!" "Another enjoyable historical from Moran." "Michelle Moran has authentically evoked an era, infusing her narrative with passages of gripping and often horrifying drama, set in one of history's most brutal periods. The scope of the author's research is staggering, but you won't need to get to the notes at the end to realise that. As historical novels go, this is of the first rank--a page-turner that is both vividly and elegantly written. I feel privileged to be able to endorse it."